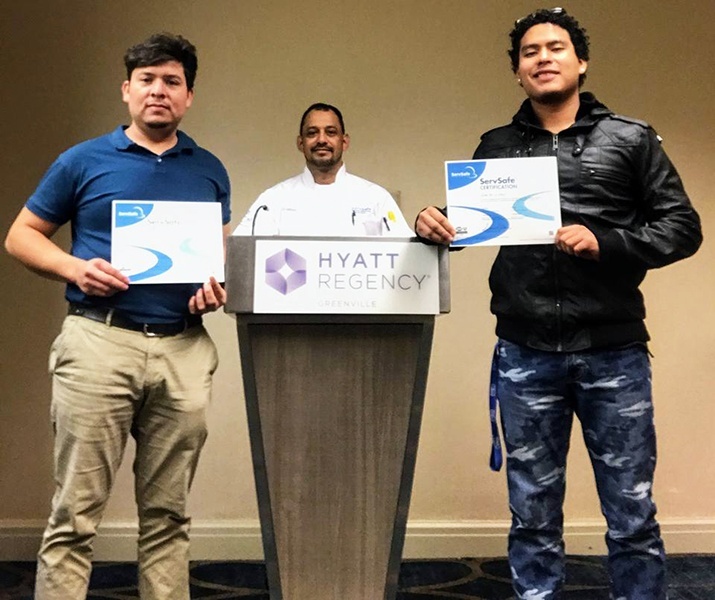 Restaurant Management Group offers ServSafe Manager Classes and Certification courses to interested candidates from the food industry such as restaurants (all segments), ice cream parlors, gas stations, catering companies, hotels, cafeterias, food trucks and many more. 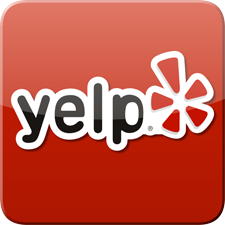 Locally owned in Marietta, GA, we are fully licensed and registered for your peace of mind and protection. Our chief instructor is Chef Abraham Herrera. He works in the Southeastern Region from Kentucky, North and South Carolina, to Tennessee, Alabama and Georgia. Though, he primarily provides classes in the Metro Atlanta, GA area. 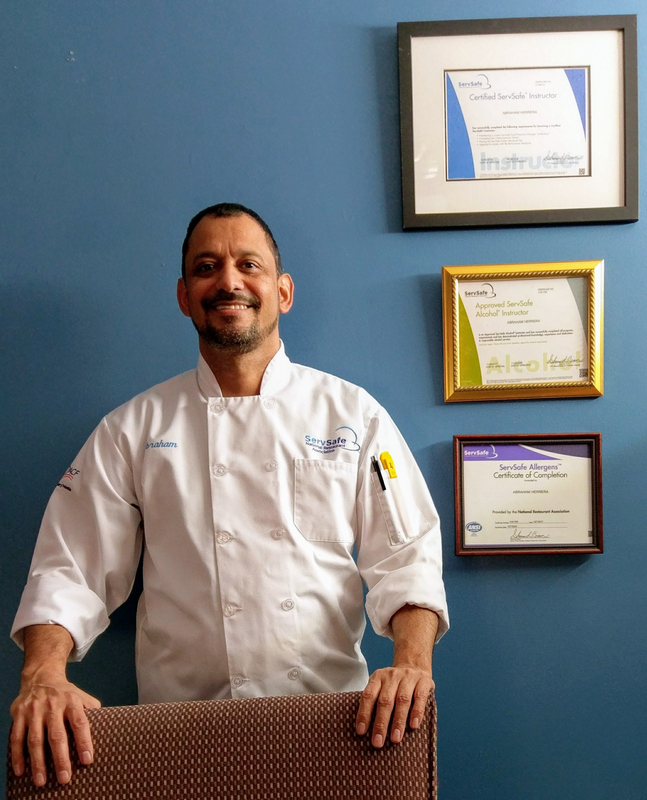 He has many years of experience in this industry as a Chef and Food Safety Instructor to provide each one of you with the kind of training and instructions you need. With the specific methodology that he has developed to teach; almost all of his students pass the examination on their first try due to the individual focus he has on their success. In addition to classes offered at various locations in the Atlanta Metro area, we also offer classes in Greenville, SC and Knoxville, TN. Our classes are conducted in different languages like English and Spanish. Join our Food and Alcohol Safety Courses today to change how you conduct your business. We look forward to seeing you soon.